WooCommerce is a free eCommerce plugin for WordPress that allows you to sell anything, beautifully. WooCommerce is one of the biggest ecommerce platforms especially for the existing wordpress community. As already wordpress has remarkable place on the CMS community the WooCommerce enhances it to make footage on ecommerce community. WooCommerce has more than 140 region-specific gateways integrated, including popular choices like Stripe, Authorize.Net, and Amazon Payments. WooCommerce has premium extensions that lets you offer bookings, memberships, recurring subscriptions and more. As a plugin with WordPress, WooCommerce enables you to make highly customized store on both design and functional areas. If you need a new shopping site using WooCommerce then you are right place to do. We can setup the WooCommerce site with payment gateway integration, shipping integration, custom design and all you need to start selling your products. Our team has lot of experience in SEO and especially with wordpress. This experience can help you get your site SEO ready and optimize as much as possible for search engine rankings. If you have a requirement that is not so available with WooCommerce or its plugins then let us know. 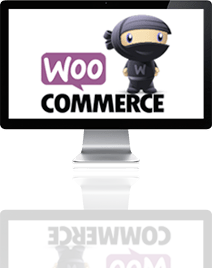 Our Custom WooCommerce plugin development service can help you get it right for you. Our custom plugins work perfectly with existing wordpress and WooCommerce structure. If you are with other shopping platform and feel not comfortable then you may think of migrating to WooCommerce. That is right in most cases and our WooCommerce migration service is for you. We can perfectly port your existing shop into the new WordPress WooCommerce platform for you. We can customize your existing WooCommerce theme or create a new one based on your requirement. We aware the look and feel is so important for any online sales hence we always concentrate on the UI as well as UX. Our coding experts are ready to troubleshoot and fix any type of issues you face with your WooCommerce store. Let us know the issue and concentrate on your business while we troubleshoot and fix it for you. There are number of payment gateways integrated and number of plugins for more payment gateways. If you see your payment provider is still not integrated then don’t worry we can integrate the one you need. Why DART for your WooCommerce requirement.